Beetlejuice is officially headed to Broadway! The highly anticipated new musical based on the fan-favorite 1988 film will set up shop at the Winter Garden Theatre in the spring of 2019. Previews will begin in March in advance of an April opening night, with exact dates to come. As previously reported, the show will first play a pre-Broadway run at Washington, D.C.'s National Theatre from October 14 through November 18, 2018. Beetlejuice features a score by Eddie Perfect, who, with the impending arrival of King Kong, will now debut his first two Broadway musicals in the 2018-2019 season. 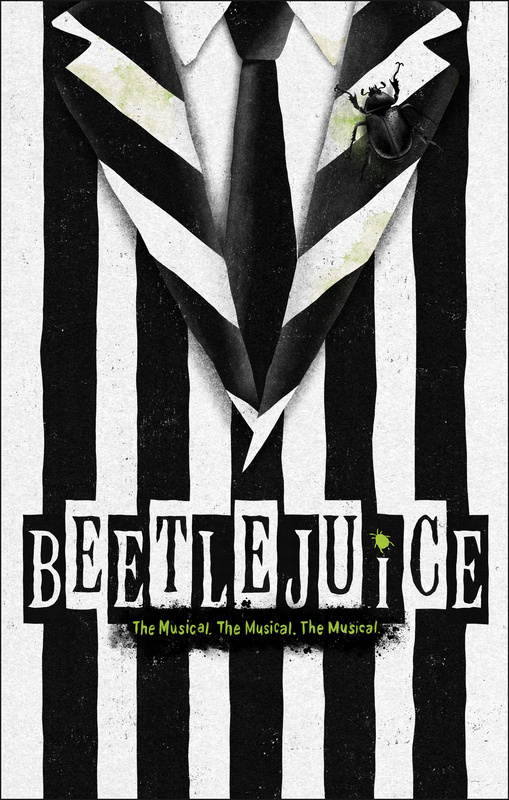 With a book by Anthony King and Scott Brown, Beetlejuice is directed by Tony nominee Alex Timbers, choreographed by Connor Gallagher and music-directed by Kris Kukul. The previously announced pre-Broadway cast will include Tony nominee Alex Brightman as Beetlejuice, Sophia Anne Caruso as Lydia, Tony nominee Kerry Butler as Barbara, Tony nominee Rob McClure as Adam, Lortel winner Leslie Kritzer as Delia, Obie winner Adam Dannheisser as Charles, Jill Abramovitz as Maxine Dean, Danny Rutigliano as Maxie Dean and Kelvin Moon Loh as Otho. The Winter Garden Theatre is the current home of School of Rock, which is slated to conclude its run on January 20, 2019.